If you need transport for a large group, whether for a stag or hen night, Sunday league football team or a journey to the airport, hiring a minibus could save you time and money. Hayletts Private Hire Ltd provides smart, modern 16 seater luxury minibuses, which can be hired for any occasion. Each of our minibuses is regularly cleaned and serviced, ensuring our passengers have a safe, pleasant journey every time. Your friendly, helpful Hayletts driver will ensure you arrive at your destination relaxed, refreshed and with plenty of time to spare. They will also be happy to assist with any luggage you may have. 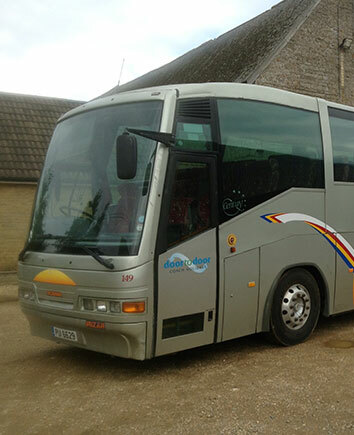 If you'll be travelling in a group of up to 16, hiring a minibus from Hayletts makes sense. There'll be no need for the group to travel in separate cars, no worries about parking and you'll all be driven straight to the destination in good time. Whether it's for a one-off trip or a weekly football match, you can count on Hayletts to get you where you need to be. To book your minibus journey, get in touch with us today. During busy periods (especially Christmas and New Year), it is advisable to book in advance to avoid disappointment.